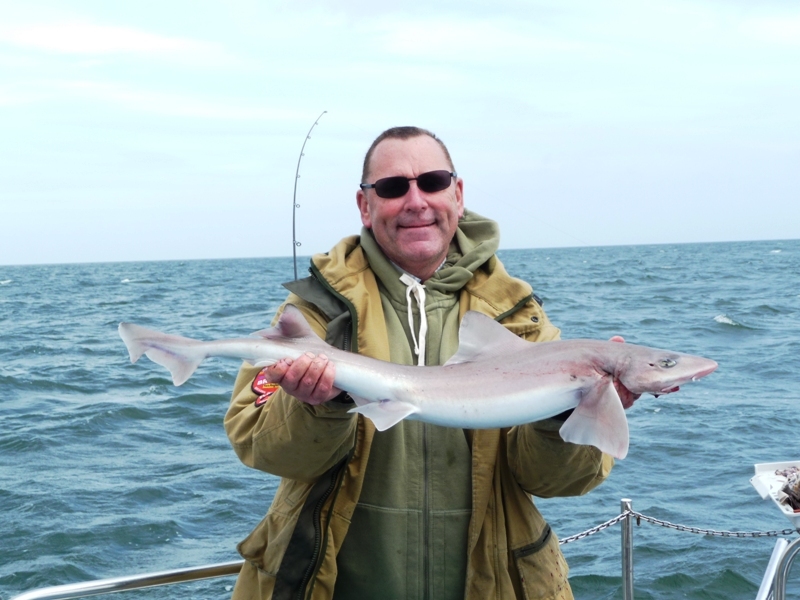 Mistress Linda Charters offers Sea Fishing Trips from Poole Quay in Dorset. 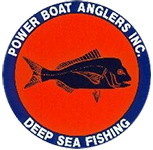 This page gives information about some of our most popular trips, but please view our Trip Schedules for the full list of fishing trips available in the coming months. Surrounding the tranquil waters of Poole are an abundance of wrecks within 40 miles which are easily reached within 2 1/2 hrs. The wrecks range from early wooden sailing craft, vessels sunk during the 1st and 2nd World Wars to later day collisions. The latest wreck being a very large boat called the ‘Ice Prince’ which foundered in big seas approximately 23 miles from Poole. 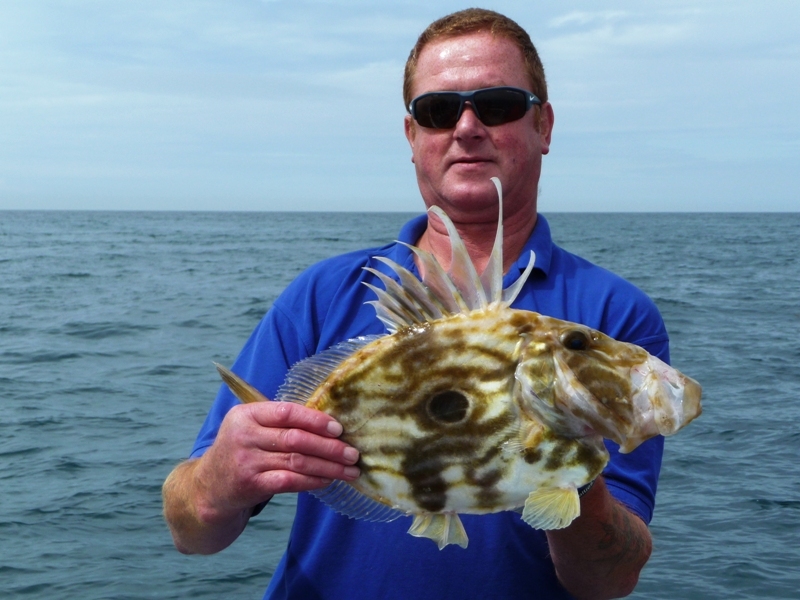 Whilst on the wreck fishing trip you can expect to catch Pollack, Cod and Ling using a variety of lures or live baits and as the tide eases you can fish at anchor for Conger, Ling, Rays, Tope and big Bream in the autumn. There is always the chance of something else taking your bait big or small when out wreck fishing in the mid channel so be prepared for the unexpected. 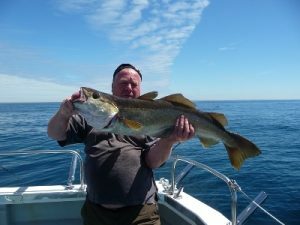 We regularly run wreck fishing trips, as well as other sea fishing trips around the Dorset coast. Please view our calendar or contact us if you’d like to book on our next wreck fishing trip from Poole Quay. 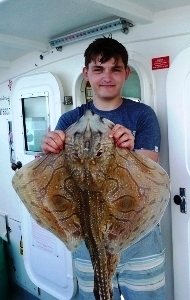 Our deep sea fishing trips along the Dorset coastline offer some massive banks, deep holes and rough ground which hold lots of Rays, Congers and Tope in the summer along with Spurdogs, Congers and Cod in the winter. It would not be unusual to catch a nice Turbot or Brill from these marks as a bonus, but these deep sea marks are only fishable on the weaker tides of each month. 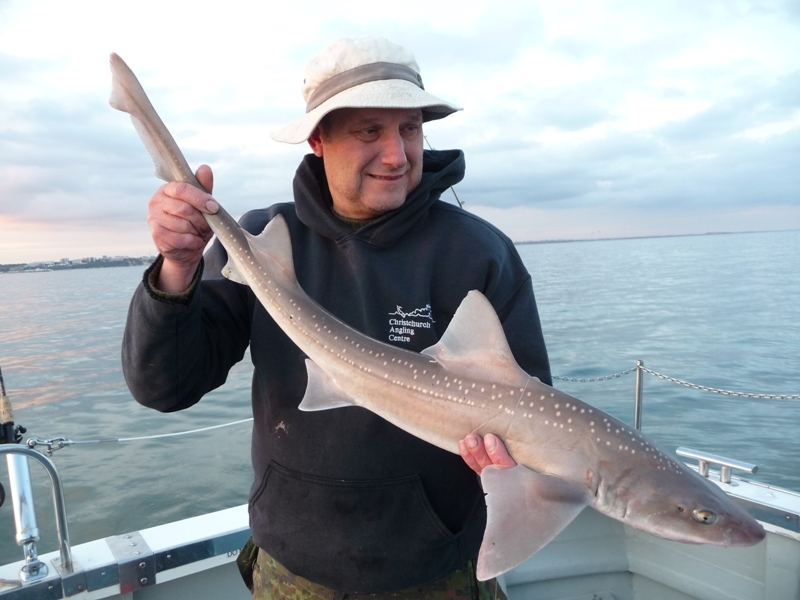 During the winter we fish the prolific Isle of Wight, Needles Cod marks which often throw up 30lb + Cod along with lots of Congers and Whiting. Travelling time is usually around the 1 1/4hr mark leaving plenty of deep sea fishing time. 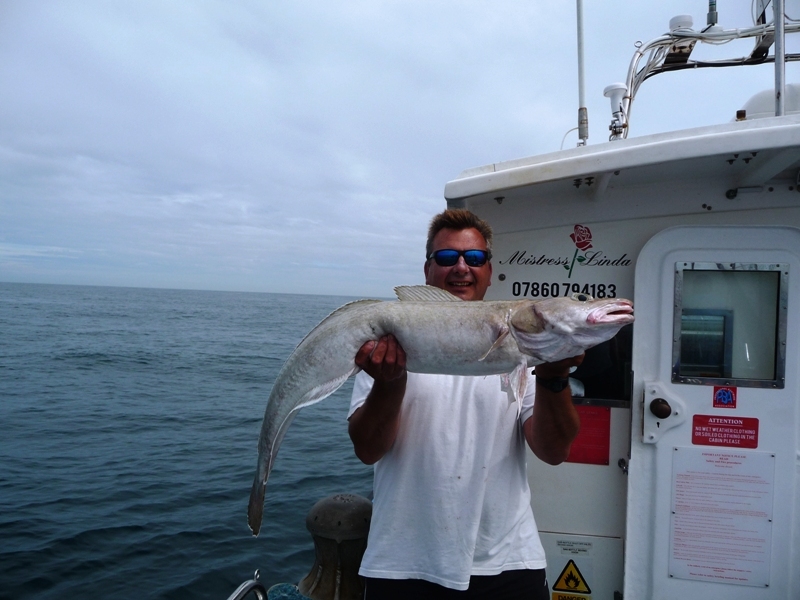 Please view our calendar or contact us if you’d like to book on our next Deep Sea Fishing trip from Poole Quay. 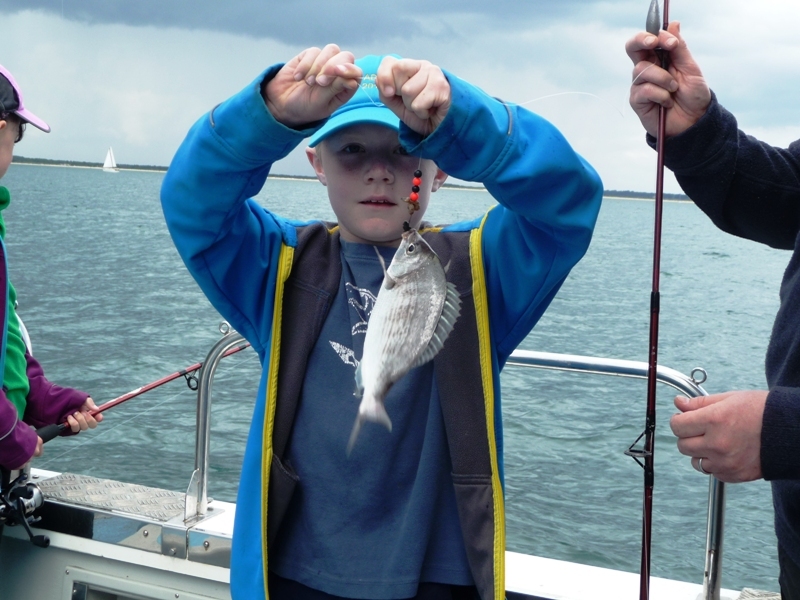 These local sea fishing trips include Poole Harbour, Swanage and along the Dorset Coast. There are many species of fish ranging from Mackeral, Plaice, Gurnards, Bass, Bream to the larger Rays, Tope and Congers. 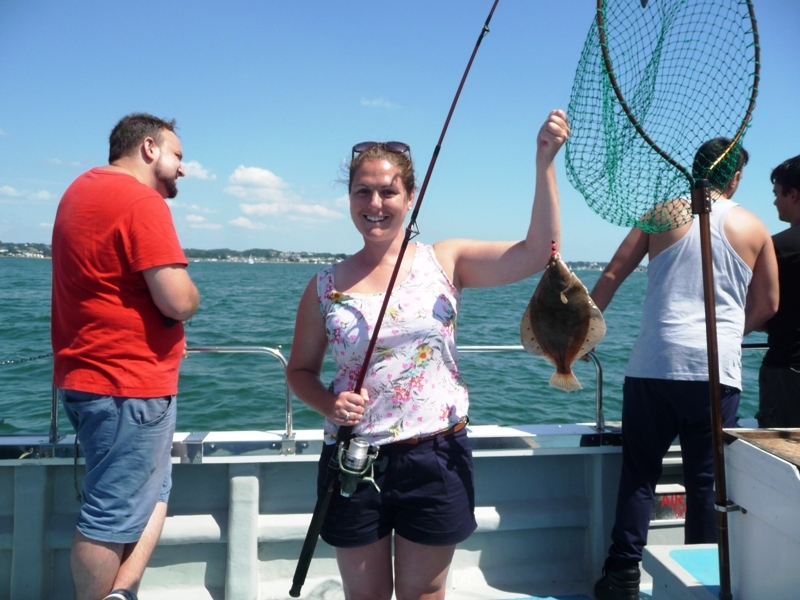 The brilliant news on these local sea fishing trips is that you can be fishing within 5 minutes of leaving Poole Quay, in the sheltered waters of Poole Harbour during the summer. 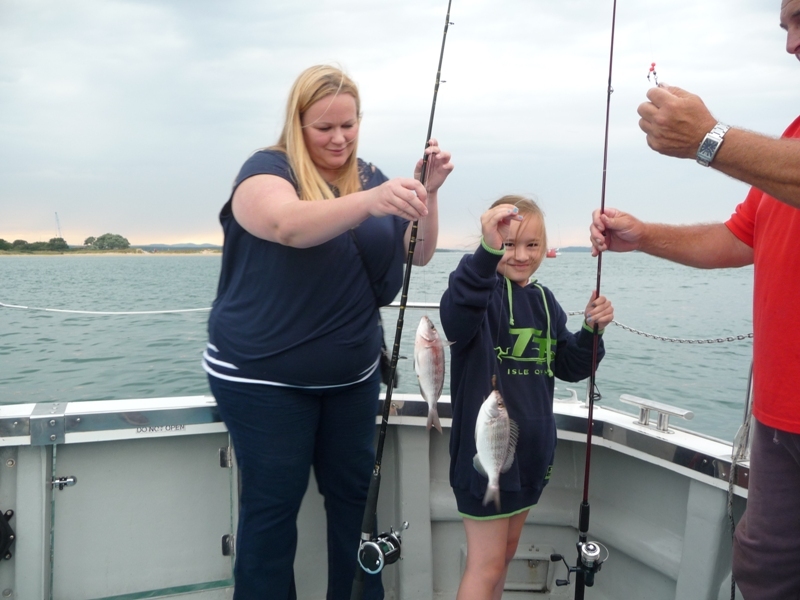 A great advantage for beginners and those who don’t have great sea legs! The superb fishing is often overlooked to chase the ‘bigger fish’ when we have it right on our doorstep and on many occasions the Harbour will produce a surprisingly large Bass. The travelling time to fish these marks ranges from 5 minutes to an hour. 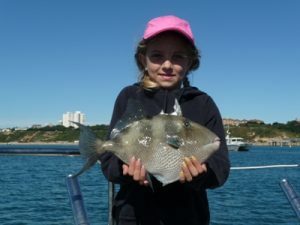 Please view our fishing trip calendar or contact us for further information and to book a fishing trip onboard the Mistress Linda. 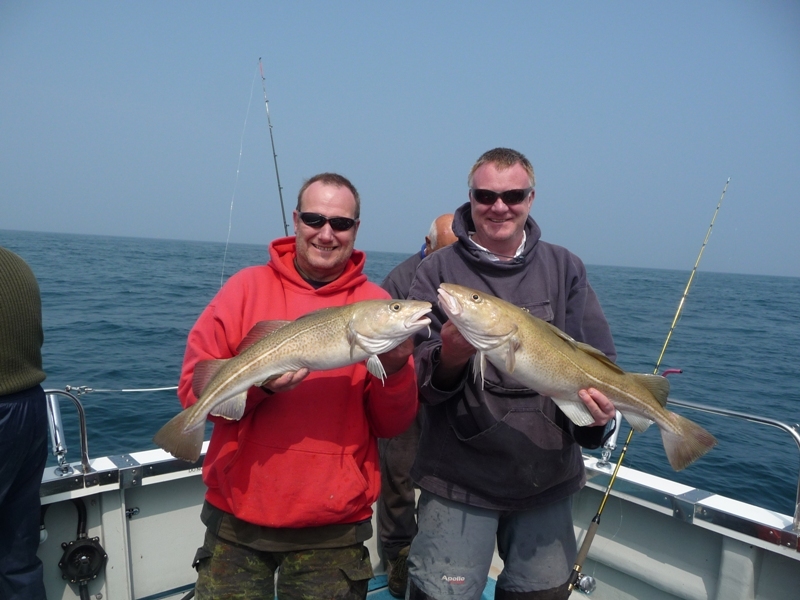 Call us today to book your next sea fishing trip from Poole, Dorset.